It’s that time again, time for pumpkins, gourds, Indian corn and… palm trees? I cannot tell you how weird it is to live in south Florida in the fall. It’s like, you can’t even do any decorating, it just looks way too weird. And it’s 85 degrees so a porch pumpkin would straight up rot in a day – ick. 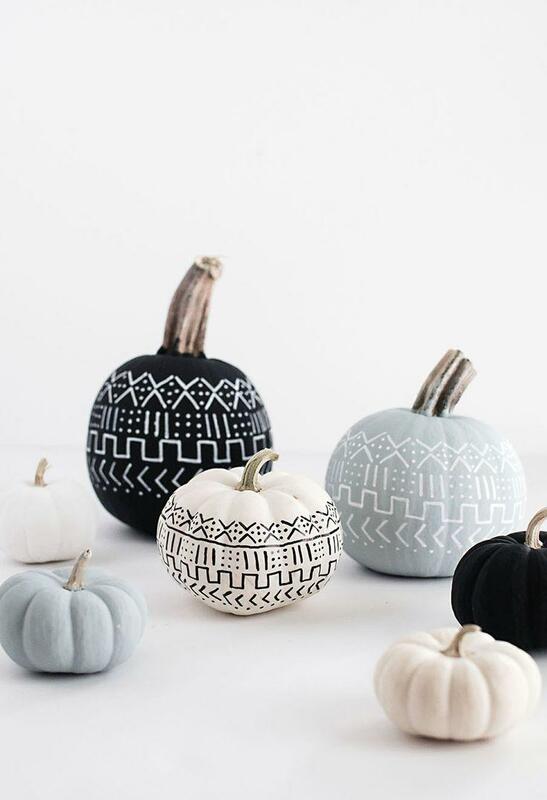 These guys are really more my style anyway, I am not a big Halloween decorator but I may give a hipster painted pumpkin a try, who knows!